Posted on October 30, 2018 by DanielC. 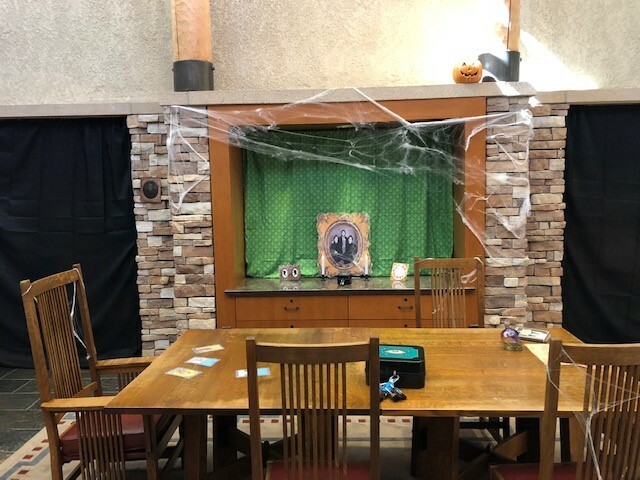 This Saturday, October 27, 2018, my friends and I went to the Mission Viejo Library escape room. I had never gone to an escape room before, and this was a great introduction. In the escape room, our group had to solve various challenges to figure out how to open the padlocked large box. In the box, there was a cure which would save us from the witch’s curse. This backstory helped motivate us to break the locks. The first key that we found was under the lamp, which opened a smaller box. In that box, we found a battery and a key. We didn’t know what to do with these, so we started looking around and discovered that one of the books on the shelf was fake. It turned out there was a lockbox inside. We used the key we found earlier and opened the lockbox. Inside was a blacklight flashlight which we then put the batteries in. We walked around the room and looked at everything with the flashlight. We found a padlock with three different locks. One lock had different letters it that was opened by various cards we found on the table. Another padlock was solved through different highlighted numbers on a piece of paper that we found taped to the wall. Also taped to the walls were clock hands pointing in different directions that matched the third padlock. When we unlocked the final set of locks, we were finally able to open the box! I really liked the spiderwebs and skeleton decorating the room as well as the scary music because it gave the whole atmosphere a scary vibe. Overall, this was a fun and challenging experience, and I am looking forward to doing more escape rooms! Posted on October 29, 2018 by Mia T.
Just as the fairy tale in the third book of this series came to an end, a new one with unexpected twists and plots opened. 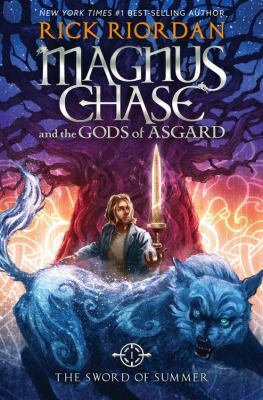 Quests for Glory, the fourth book in the School for Good and Evil series by Soman Chainani, follows the fourth-year pupils of the School for Good and Evil as they journey on the quests that have been assigned to them. 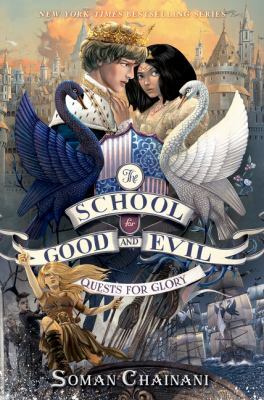 Just a quick background on the world: The School for Good and Evil is set in a fairy tale world and has two school within it: a School for Good and a School for Evil. Based on their nature, the children are separated into these two schools. When each student reaches their fourth year, they are assigned a quest, and the Storian (and enchanted pen) writes and illustrates their adventures as a new fairy tale. King Arthur of Camelot, Cinderella, and many more were students at the School for Good and Evil. The characters who were introduced in the first book of this series, Sophie and Agatha, are now in their fourth year. The fourth-year pupils are off on their assigned quests, but the quests do not seem to be going as hoped. Tedros cannot lift Excalibur to take what he thinks is his rightful place as king, Agatha is not as happy as she’d hoped in Camelot, and from the looks of Professor Dovey’s (Dean of the School for Good) magical quest map, the other students are not doing well either. A mysterious force seems to be working against the success of the students’ quests, and its ultimate goal becomes more and more apparent with its every move: Tedros’ place in Camelot. Professor Dovey begins to realize that perhaps the quests the fourth-year pupils have been given are not their real tales. I had read the first three books in The School for Good and Evil series about a year ago, and I had forgotten how full of humor and artful drama Soman Chainani’s writing is. The characters he creates are so vivid, unique, and enjoyable to read about. If you have not read this series, I would suggest it if you like books based on fairy tales (many of the students at the School for Good and Evil are children of famous fairy tale heroes and villains). This book was an exciting, magical, and humorous read which I’m sure fans of the series will enjoy. Quests for Glory by Soman Chainani is available for checkout from the Mission Viejo Library. Posted on October 27, 2018 by Ava G.
Both the movie and play School of Rock is about a guitarist Dewey Finn who has been living off of his friend Ned who is a substitute teacher. Ned’s girlfriend gets annoyed that Dewey keeps living off of them and tells him that he has to pay rent or get kicked out. So he poses as Ned to become a substitute teacher at Horace Green, an expensive well known school. 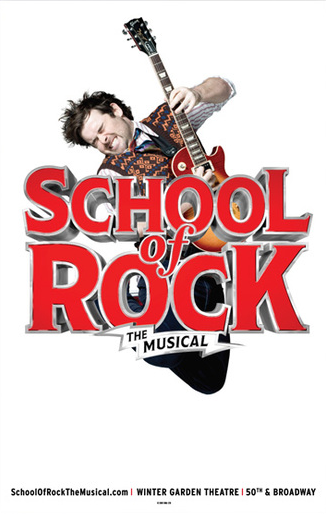 Instead of teaching his class normal things, he teaches them about rock and roll, turning them into a rock band to preform at the battle of the bands which Dewey hopes will earn him some money and be his breakthrough. Both the movie and the musical were very good and where very similar. The movie, which was the original had a couple classic rock songs in it, which I really enjoyed. I actually enjoyed the movie even though I normally don’t like children’s movies. It was different then everything else I had recently seen. It was really nice seeing something that was different then every generic movie that has been coming out. So, even though it is 15 years old it is still a great family friendly movie. I saw the musical first and when I saw the movie pretty much the same story line, which I liked. Because, it meant that the musical adaption of the movie didn’t take to many liberties and didn’t completely change the meaning of the story. Though, the musical did have some differences, it was obvious that it was purely just to make it work as a musical adaption. They had also added some modern day jokes and themes into the musical which kept it interesting. It was also nice that they had kept some of the original songs from the movie as well as adding some originals. They also had all the kids playing their instruments live which was cool to see. Overall, I really enjoyed both the movie and the musical. Though the entire story is a bit childish and dumb. It was different and I liked that. I would totally suggest seeing the movie and the musical if you have a chance. I found it as something that was just kind of fun to see. Posted on October 25, 2018 by Mahak M.
Most murders are committed in one of two ways. The first is a crime of passion, of spur-of-the-moment violence, while the second is a crime of mediation, carefully thought out and carried out accordingly. Usually, a murder can be classified as one or the other quite easily, but what happens when the two run together and become a bloody mix of accident and intention, heart and brain? This is exactly the sort of crime faced by Hercule Poirot in Death on the Nile, by Agatha Christie. Hercule Poirot, the famous Belgian detective with a big brain and an even bigger mustache, is called to action once more by newlywed Linnet Doyle. After unceremoniously stealing her best friend Jacqueline de Bellefort’s love, Simon, and marrying him, the wealthy young woman seeks protection from her rival in love. Unfortunately for Mrs. Doyle, even Poirot cannot stop a crime of passion, and the next day finds Linnet Doyle lying dead with a bullet shot straight through her head. Jacqueline is obviously suspected, but when she is revealed to have an airtight alibi, Poirot is confronted with a seemingly endless selection of twists, turns, and backstabbers, leaving even him at a temporary loss of suspects. Luckily for Poirot (and the reader), the killer is uncovered, and the events behind the murder are so unforeseen that it is impossible for even the most dedicated reader to correctly deduce them. Death on the Nile, by Agatha Christie, is an extremely compelling novel that combines good writing, a neat plot, and a startling conclusion into four hundred pages of action and mystery. Fans of Agatha Christie’s Hercule Poirot or any detective will not be disappointed by this intriguing Egyptian thriller novel. Death on the Nile by Agatha Christie is available for checkout from the Mission Viejo Library. Posted on October 21, 2018 by Mahak M.
Unfortunately, in the twenty-first century, people are starting to rely more and more on technology than on these beautiful buildings stuffed with books, and are questioning the necessity of libraries today. The fact is, more people visit libraries every year than they do any other establishment. There was actually a study in New York that showed that the number of people who attend sporting events, museums, live performances, zoos, etc., adds up to about 30 million. Though this seems to be a rather large number, the NYC libraries counted about 37 million visitors, meaning that libraries attract more people than all other attractions do – combined! or satisfying as holding an actual library book in one’s hand. Notwithstanding this, there are some people who still believe that libraries can be replaced with a simple Google search. What these people refuse to understand, though, is that libraries have become so much more than a place to store books. Nowadays, one can enter a library and find jobs, homework help, and many other activities, such as trivia nights and book talks, ice-cream socials and reading programs, that enrich and empower the community. For these reasons, it is as plain as day that these power plants of knowledge are exceedingly necessary for our society and our world to not only survive, but to thrive.